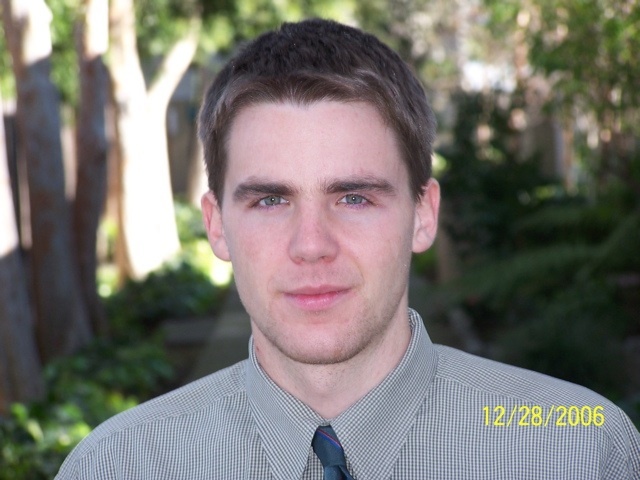 Michael L. Krugjohn, 26, Lawrence, died Tuesday, May 21, 2007, at his home. He was born Dec. 3, 1980, in Minneapolis, Minn., the son of Robert L. and Karen S. Anderson Krugjohn. He attended school in Mission and was a student at Kansas University pursuing a degree in electrical engineering and computer science. Mr. Krugjohn participated in the Navigators Christian organization. He enjoyed computer programming, playing basketball, chess and strategy games and studying mathematics and logic. Survivors include his mother, Karen Scott, Ottawa; two brothers, Daniel, Lenexa, and Nathaniel, Ottawa; a sister, Amber Scott, Ottawa; his grandparents, Mary Ann Zubeck, Mission, Tom Anderson, Branson, Mo., and Teruko Krugjohn, Glenwood Ill. Send tributes, photos, poems, anecdotes to lambert@ldolphin.org Lambert Dolphin for posting.